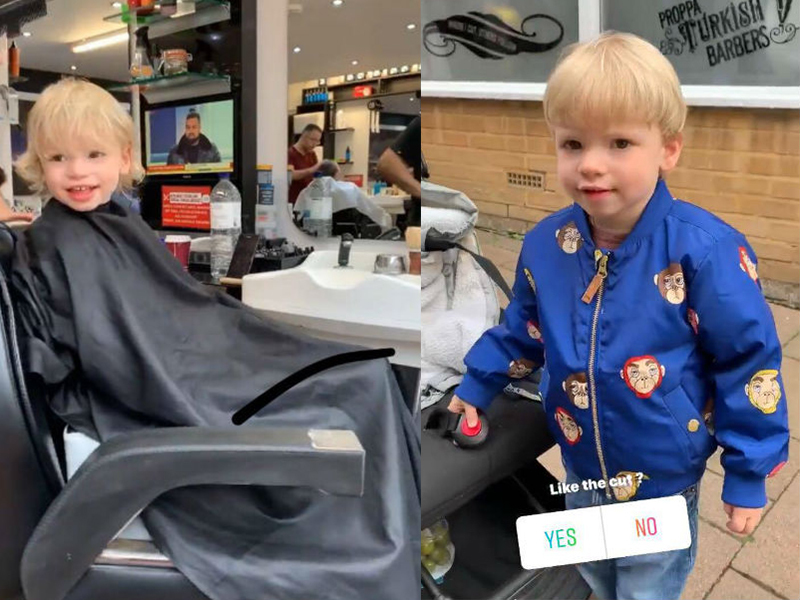 Jamie took River to a local Essex barber shop to get those baby locks chopped off once and for all. Sob. “Jamie posted the sweet video on Instagram Stories, and asked his son what he thought his mum would think of his new look, to which River simply smiled,” Hello! magazine reports. Jools and Jamie are mum and dad to 17-year-old Poppy, 15-year-old Daisy, nine-year-old Petal, eight-year-old Buddy and two-year-old River. So what else do we know about River? Apart from the fact that he’s growing up very, very speedily? “I am not sure I have seen anybody more excited than River was to visit The London Transport Museum,” Jools admitted on Instagram earlier this month. So quickly that the Oliver baby has just moved from cot to big boy bed. With his big boy haircut. And apparently he’s not super keen to stay put. “Night night little River….now stay in that bed! !” she captioned a photo of her delighted little boy snuggling down. Jools posted a photo of this ritual explaining that her little guy likes to call on her yoga teacher’s other skills. “Managed to just get my yoga in with my fav @nadianarain not before River insisted on his weekly ‘Nadia Massage’,” Jools posted on Instagram. He loves busting out the art supplies in the incredibly gorgeous playroom he shares with his siblings. His brother Buddy is training him in the very important arts of dinosaur admiring and Star Wars enthusiasm. So cute, right?! It’s a total delight to see this much-loved little boy growing up.